Various sizes of screwdowns. Some with clear edges, and some with black borders. 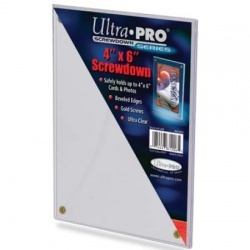 1/4" thick screwdown holder for 2-1/2" x 3-1/2" (63.5mm x 88.9mm) standard sized cards. CASE QUANTITY. 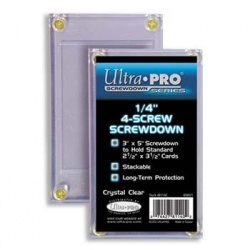 1/4" thick screwdown holder for 2-1/2" x 3-1/2" (63.5mm x 88.9mm) standard sized cards. 1/4" thick screwdown holder with recessed area to hold the cards in place. CASE QUANTITY. 1/4" thick screwdown holder with recessed area to hold the cards in place. 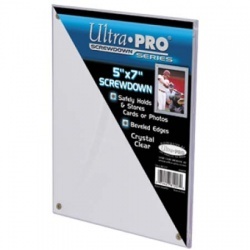 Screwdown holder for photos, postcards and cards up to 4" x 6". CASE QUANTITY. Screwdown holder for photos, postcards and cards up to 4" x 6" (101.6 mm x 152.4 mm) in dimension. 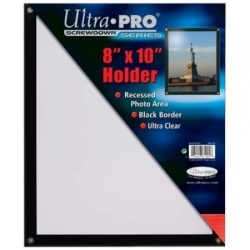 Screwdown holder for photos, postcards and cards up to 5" x 7". CASE QUANTITY. Screwdown holder for photos, postcards and cards up to 5" x 7" (127 mm x 177.8 mm) in dimension. Holds one 8" X 10" photo and displays it in a classic black border with a recessed area to frame the photo. CASE QUANTITY. Holds one 8" X 10" photo and displays it in a classic black border with a recessed area to frame the photo. 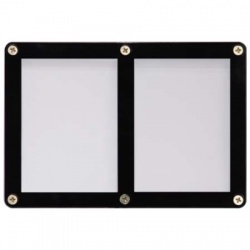 Holds one 2-1/2" x 3-1/2" card and displays in a classic black border. CASE QUANTITY. 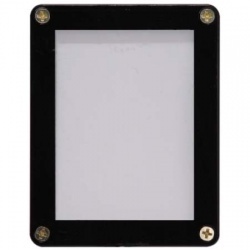 Holds one 2-1/2" x 3-1/2" (63.5 mm x 88.9 mm) card and displays in a classic black border. 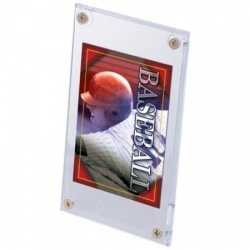 Holds two 2-1/2" x 3-1/2" cards and displays each side-by-side in a classic black border. CASE QUANTITY. Holds two 2-1/2" x 3-1/2" (63.5 mm x 88.9 mm) cards and displays each side-by-side in a classic black border. 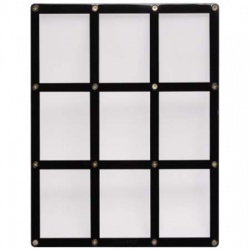 Holds three 2-1/2" x 3-1/2" cards and displays each side-by-side in a classic black border. CASE QUANTITY. 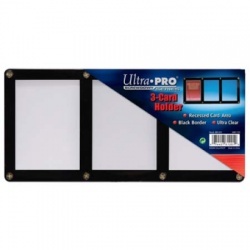 Holds three 2-1/2" x 3-1/2" (63.5 mm x 88.9 mm) cards and displays each side-by-side in a classic black border. Holds nine 2-1/2" x 3-1/2" and displays each side-by-side. CASE QUANTITY. 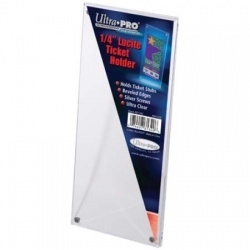 Holds nine 2-1/2" x 3-1/2" (63.5 mm x 88.9 mm) cards and displays each side-by-side. Approx. inside (usable) dimensions: 3" x 4-1/4"
Approx. outside dimensions: Outside: 3-1/8" x 5-1/4"
This is the case quantity of this item (200 pieces). If you are looking for less than this quantity, see this item instead. This is the case quantity of this item (200 pieces). If you are looking to buy by the piece, see this item instead. This is the case quantity of this item (100 pieces). If you are looking for individual screwdowns, see this item instead. Approx. inside (usable) dimensions: 8-1/8" x 10-1/8"
Approx. outside dimensions: 9-1/4" x 11-1/4"
This is the case quantity of this item (25 pieces). If you are looking for individual screwdowns, see this item instead. This is the case quantity of this item (200 pieces). If you are looking for individual screwdowns, see this item instead. This is the case quantity of this item (25 holders). If you are looking for individual screwdowns, see this item instead. Approx. inside (usable) dimensions: 3-1/4" x 7-3/4"
Approx. outside dimensions: 3-1/2" x 8"
This is the case quantity of this item (48 holders). If you are looking for individual holders, see this item instead.